Mehron’s ECHO Professional Pressed Glitter Palette is a revolutionary way to add sparkle! This unique pressed formula allows for glitter application with no mixing medium or adhesive, all while staying put with zero fallout! The deluxe mirrored compact contains three prismatic shades (gold, silver and opalescent) that shift and reflect spectral light for a striking effect. The advanced hydrating formula contains the beneficial properties of Vitamin E and Pomegranate Extract. Apply using a beauty brush or fingertips. 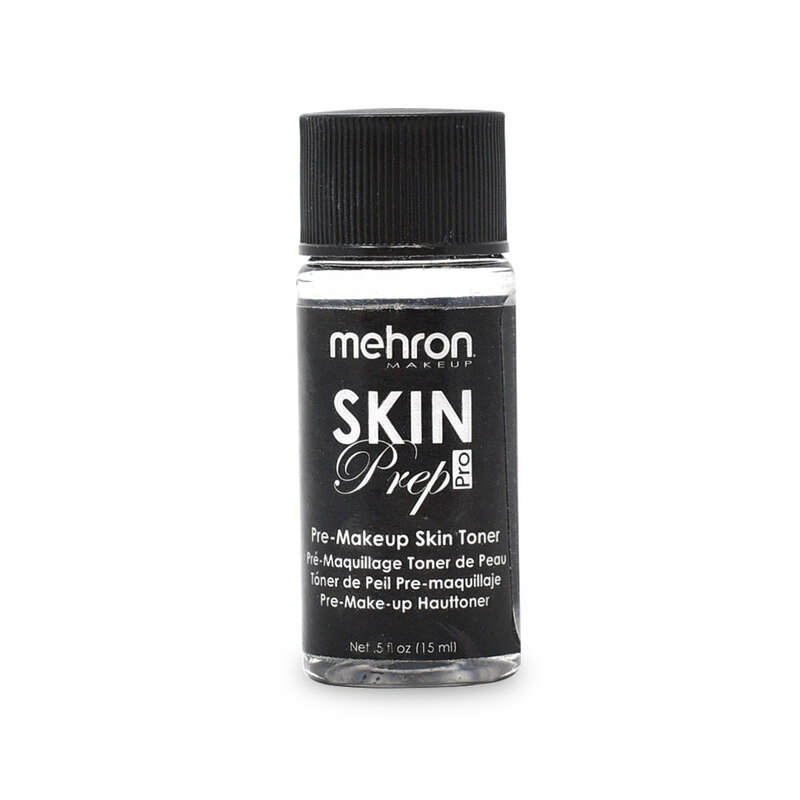 Wear alone or over your favorite Mehron makeup products! For a Limited Time Only Get a Free .5 oz Skin Prep Pro with Purchase of ECHO Palette. Created with lavish iridescent 3-D glitter, these pressed glitters create a gorgeous, prismatic effect. Apply using a beauty brush or fingertips. Mix and match the shades to create unique custom looks. Pairs beautifully with Mehron’s Lip, Eye and Intense™ Makeup products. INGREDIENTS: Polyethylene Terephthalate, Polyurethane 33, Simmondsia Chinensis (Jojoba) Seed Oil (and) Ethylene/Propylene/Styrene Copolymer (and) Butylene/Ethylene/Styrene Copolymer, Tocopheryl Acetate (Vitamin E), Carthamus Tinctorius (Safflower) Seed Oil, Punica Granatum (Pomegranate) Seed Extract . May Contain [+/- Titanium Dioxide (CI 77891), CI 19140 (Yellow 5), CI 15850 (Red 7), CI 15880 (Red 34), CI 42090 (Blue 1), CI 77510 (Blue 27), CI 77000 (Aluminum)]. Click the button below to add the ECHO Pressed Glitter Palette to your wish list.